Offering you a complete choice of products which include l-cysteline derivative, l - cystelibe derivative, l - cysteline concentrate, nutritional bio activator, amino acid based biostimulant and seaweed extract. 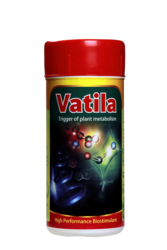 Vatila is a high performance biostimulant & trigger of plant metabolism. Vatila contains amino acid derivatives along with vitamins in balanced proportion. It also contains certain growth promoting substances derived from plant and animal origin sources. Vatila is ecologically safe and environment friendly. Benefits :- Enhances flowering Increased fruit size. Reduced flower and immature fruit drop. Stimulates vegetative growth. Better shelf Life. Lowers abscisic acid & ethylene synthesis which helps to overcome stressing conditions. Does not leave any residue. Hence suitable for export growers. Dose:- Dipping (Grapes) :- 100 ml to 200 ml in 100 to 200 Liter of dipping solution. Can be used for seed dressing also. Foliar Spray :- 1.0 ml to 1.25 ml / Lit of water. Compatibility :- Vatila is compatible with almost all pesticides and fertilizers commonly used except those with alkaline reaction or which produces alkalinity after mixing. HOMAN is a product of high tech concept in Plant Metabolism. HOMAN is a product containing Derivative of Amino Acid L – Cysteine. 5.0% w/v with folic acid 0.1% w/v. which promotes enzymatic activity & stimulates Photosynthesis and uptake of major and micro nutrients. Induces synthesis of Hormones like I.A.A. and gibberellins, which helps in many ways. Improves an efficiency of pesticide and fungicides. Helps to fight draught resistance. Increases valine and glutamine content thereby increasing plant resistance to water and temperature stream. Improves germination and growing cycle of plant. Seed treatment:-Seeds dipped in Homan Solution. 2 to 3 ml/ Liter of water for 10-15 minutes before planting. Root Treatment - 2 to 3 ml/ Lit of Water. 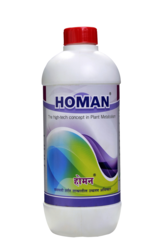 Spraying :-HOMAN can be used for foliar spray in nurseries or directly in field @ 0.5ml to 1.0 ml/ Liter. Compatibility :-HOMAN is compatible with almost all insecticides, fungicides and plant nutrients except those with alkaline nature. VatilaSuper contains amino acid derivative along with vitamins in balanced proportion. Vatila Supercontains certain growth promoting substances derived from plant and animal origin sources. 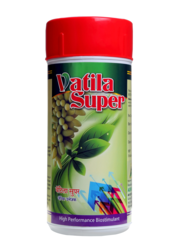 Vatila Super activates physiological processes beneficial ,ecologically safe, environment friendly. Does not leave any residue,hHence suitable for export growers. Vatila Super enhances flowering, increasesfruit size. 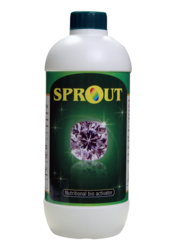 Reduces flower and immature fruit drop, stimulates vegetative growth. Lowers abscisic acid and ethylene synthesis which helps to overcome stressing condition. Can be used for seed dressing also. Vatila Super is compatible with almost all pesticides and fertilizers commonly used except those with alkaline reaction or which produces alkalinity after mixing. It is an organic certified product specially developed to grant higher yield and better quality of the produce. Foliar Spray :- 1. Grapes & fruit Crops 240 ml / acre in three stages. Before flowering At the end of flowering At color change stage. 2. Banana 240 ml /acre Three months after planting. Seven months after planting. On bunches at 50 % maturity. 3. Cotton and Vegetables :- 100 ml / acre At peak flowering stage. At fruit development stage. 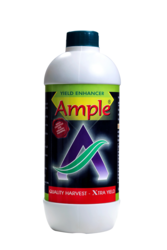 Ample is Amino Acid based yield enhancer. Ample contains all vital Amino Acids necessary for plant to execute balanced growth. Ample contains Amino Acids, which are derived by enzymatic hydrolysis process from quality Proteins. Being natural in origin, it is safe for use; Ample provides glycine and glutamic acid, which are fundamental metabolites in process of formation of vegetable tissues and chlorophyll synthesis. Ample helps to increase chlorophyll concentration in the plant leading to higher degree of photosynthesis. Ample provides Aromatic Amino Acids viz Alanine, Tyrosine, Phenylalanine, Tryptophan, Valine and Leucine, which helps in flowering. Ample helps in building disease resistance in plants. Ample maintains water balance in plants. Ample provides hardiness to cell wall, enabling plant to resist unfavorable changes in climate. Ample helps in early maturity of fruit. Foliar Spray :- 200 to 500 ml in sufficient quantity of water / acre. Compatibility :-Ample is compatible with almost all pesticides except with alkaline in nature. Do not mix with Copper or Sulphurcompounds. 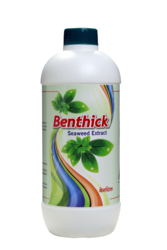 Benthick is seaweed extract derived by fermentation of Ascophyllum nodusum and it contains natural hormones and various plant nutrients,trace minerals, carbohydrate & protein hydrolysate. Benefits:- Improves blossom and fruit set.Supply balanced nutrients in natural for Stimulates cell division, improve fruit size. Dose:-Soil Application / Fertigation :- 1.5 to 2 Liters per acre, 2-3 times during active growth stage.Foliar Application :- 300-400 ml per acre in 150 to 200 liters of clean water during growth, flowering and fruit development stages. Compatibility :- Benthik can be mixed with most of the pesticides & fertilizers. Still we recommend to check compatibility before application. ENGROSS contains fulvic acid which is soluble in water under all pH levels.ENGROSS is non toxic and powerful organic electrolyte. Engross is transported to the shoots of the plant at a faster speed for better vegetative growth. 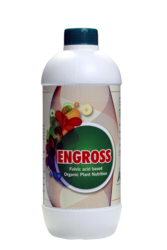 Benefits:- Engross enhances cell division and elongation. Engross offers rot protection due to improved moisture storage. Engross has unique capacity to dissolve minerals and microelements . Engross can interact with sunlight to photosynthesis. Engross can detoxify pollutants in the soil. Dose:-Foliar Spray :-Dissolve 2 ml per Liter of water.300 to 400 ml per acre Soil Application / Fertigation :-1 Liter / acre. Compatibility :-ENGROSS can be mixed with almost all pesticides and fertilizers. Looking for NATURAL BIOSTIMULANTS ?